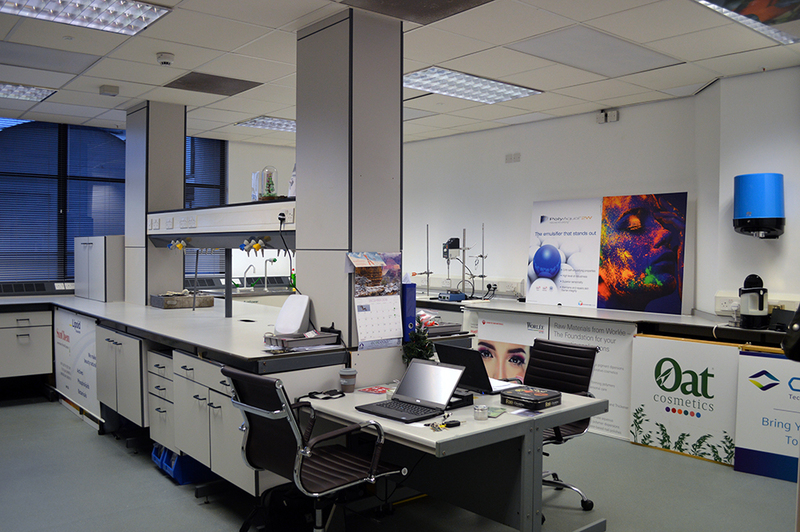 We have a purpose built laboratory facility located at Medicity in building D6 within the Boots complex in Nottingham. The purpose built space allows us to further support our customers and suppliers with the added benefit of being able to host customers on site and provide any necessary training. Below are some formulations featuring ProTec Botanica’s ingredients. For more information on any of them, please get in touch. COSMOS Day Cream MADU0140 A Day Cream made with natural ingredients. Specially formulated to minimise soaping on the skin. The product features ProTec Botanica’s Sweet Almond Oil. COSMOS Soufflé PAL02CICL0030	 Ultra Hydrating Whipped Soufflé leaves the skin instantly hydrated and nourished. Natural Cream with Grapeseed Oil APACH332 A natural cream to demonstrate some of our favourite natural ingredients. This features ProTec Botanica’s Grapeseed Oil. COSMOS Body Butter RKNN153 A rich and indulgent Body Butter formulation made from natural ingredients. This features ProTec Botanica’s sweet almond oil and shea butter. Natural Protection Cream PAL06JALA002 A Protective Cream made with natural ingredients. Specially formulated to minimise soaping on the skin. Featuring ProTec Botanica’s Sweet Almond Oil. Natural Radiance Cream FASC05 A premium cream featuring ProTec Botanica's Baobab oil, leaves the skin feeling luxurious. Mascara with Beeswax UT4H002 This formula produces a long-lasting, water-resistant, smudge-resistant mascara that thickens and lengthens lashes. Natural Foundation PALN4UGT A largely natural foundation featuring ProTec Botanica’s Organic Glycerin. Nitro Pink Lip Gloss M0NT4N4001 A Lip Gloss for shine and colour while protecting the lips from sun and wind. Featuring ProTec Botanica’s Vitamin E which acts as an antioxidant. Think Pink Lipstick N3BR4SK4001 A bold pink lipstick featuring ProTec Botanica’s Castor Seed Oil & White Beeswax.